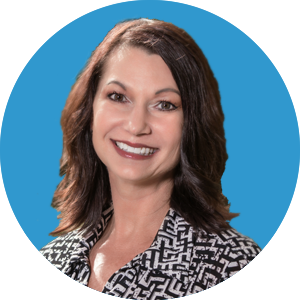 Running a semi-monthly pay for non-exempt employees can be challenging. It gets complicated because employers are required to track the actual number of hours worked each workweek (seven days) and pay overtime if more than 40 hours are worked in that workweek. But before detailing how to structure semi-monthly pay for your company, it’s first important to clearly understand what semi-monthly pay means. Semi-monthly pay is payroll distributed to employees 24 times per year. This is a different pay structure than the more common bi-weekly payroll, which is distributed 26 times per year. 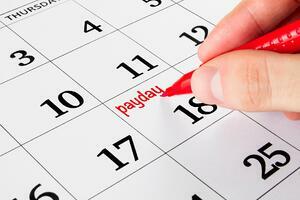 Semi-monthly pay is typically distributed to employees on the 15th and the last day of each month. Bi-weekly payroll, meanwhile, is paid every other week, usually on Friday. A common mistake with semi-monthly pay is to assume 86.67 hours each pay period (or some other identical amount every pay period), however employers are required to track (and pay for) all hours actually worked (including overtime) each workweek, not an “average”. Unfortunately, there are not exactly the same number of workweeks in each month nor are there exactly the same number of days and hours in each semi-monthly pay period. Let’s look at an example. Say the pay periods in a month are the 1st through the 15th and the 16th through the last day of the month. Let’s also say the business operates Monday through Friday. 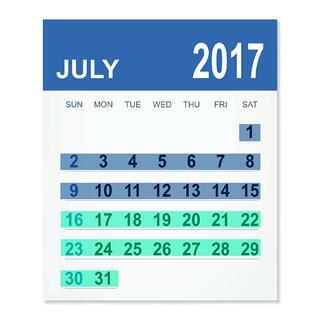 In July 2017, the first pay period would have 10 workdays and the second pay period would have 11 workdays. If we assume the employee works an eight-hour day, then the following would be true. * Even though the straight time hours for July 31st were paid in July pay period 2, if any overtime is worked in that workweek (July 31 – Aug. 6), it will be paid in Aug. pay period 1. As you can see, accurate record keeping is a crucial step for employers who use a semi-monthly pay frequency for their non-exempt employees. We recommend employers use an electronic time and attendance tracking system in order to properly record and pay overtime.